Whenever there's a car chase, GTA comparisons inevitably arise. But this particular car chase totally looks like Grand Theft Auto. Really! 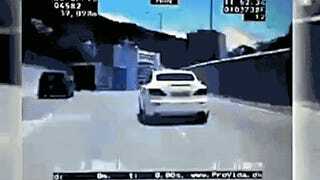 The chase happened earlier this summer, and the footage is taken from an undercover Hong Kong cop car and was recently uploaded by Next Media. For twenty minutes, police chased the 33 year-old driver, who was trying to get out of paying a ticket or a fine. In the video, an officer can be heard screaming for the guy to get out of car and calling in back-up. Next Media compared the chase to Grand Theft Auto. Thanks in large part to the low dash cam and manic driving, that seems about right.